The menorahs in the Hesed social welfare centers in Odessa, Ukraine are alight with an added glow this Chanukah. The joyful lights match those in Ira Sborovskaya’s eyes. She can’t help but marvel at the progress her country has made in the 25 years since Soviet oppression ended. Ira didn’t discover she was Jewish until her late teens. But now, her seven-year-old wears a Star of David around her neck everywhere she goes, and is even leading the Chanukah celebration at the local JCC. The Hesed centers are run by Federation partner the American Jewish Joint Distribution Committee (JDC). As JDC’s point person in southern Ukraine and Moldova, Ira is playing a vital role in this return, helping JDC spread hope to a community beleaguered by ongoing conflict and anti-Semitism. 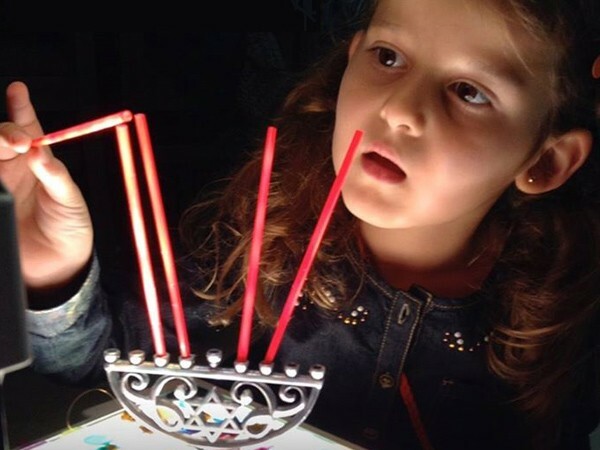 During Chanukah, 32 Hesed centers in Ukraine are sponsoring food fairs, staging performances, providing classes and workshops, and of course, handing out menorahs. In Odessa, home to a 35,000-strong Jewish community, Ira makes every effort to include many of the 2,800 internally displaced Jews in the celebration. She wants them to know that Hesed and JDC are sources of warmth, joy and comfort during yet another year away from home. As a brutal, life-threatening eastern European winter begins, JDC is providing shelter, warm clothing, heating supplies and medicine to tens of thousands of Jews. It is this spirit of Hesed that makes Jewish life in Ukraine burn so bright this holiday.